We're rearranging Digital ComicsAlliance a bit, just to keep things fresh. From here on out, look for an in-depth review of one story and an assortment of brief reviews of other books that are worth reading digitally, posted every weekend. There are a lot of great digital comics out there, and this way we can hopefully cover more ground and put the best books in front of your eyes. This week, let's talk about making old characters relevant again, manga about food, and a comics history lesson. It's fair to say that, at this point, cape comics have a very complicated history. It's painfully easy to spend hours on Wikipedia, looking up obscure fact after obscure fact. It's also easy to let that history harm your enjoyment of superheroes. If you get too caught up in having to know everything about a character, then every non-sequitur or aside becomes something to investigate. Every team-up becomes fraught with unintentional foreshadowing as you hope that the story you're reading follows up on a story from decades ago. You don't need to know everything about new people you meet. That would be silly, wouldn't it? I think the same rule applies for superhero comics. Figure out the bare minimum you need to know to follow the story and then grab on tight and enjoy the ride. Of course, you have to know something. Coming in cold is nice, and gives you an unbeatable fuzzy feeling when you discover and decipher something new, but sometimes it's even nicer to know a bit of history. When you're talking about characters that have histories that span decades, "a bit" is the key phrase. You can't have all of it. That's a problem for the creators of the comic to solve, however, and Dan Abnett & Andy Lanning's run on Nova is a pretty good example of how to solve the problem of dealing with a character's history. Richard Rider, alias Nova, was out of commission for a while. 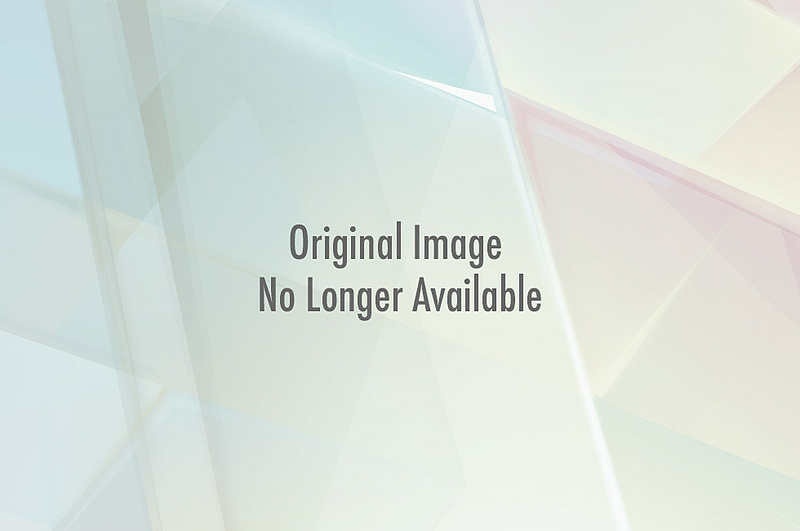 He appeared in marginal miniseries or cameoed in mid-list titles. He fell quite a ways after the glory days of New Warriors, and while he never quite went away, he definitely spent a few years as a background character or a joke. In 2006, Annihilation hit. It was an event comic set on the farthest outskirts of the Marvel Universe. Marvel's cosmic characters, save for the ever-present Silver Surfer, had faded into obscurity alongside Nova -- a blessing in disguise, because it meant that event mastermind Keith Giffen could break and remold the toys he was playing with. You can only bend Spider-Man so far, but when you have a cast made of Thanos, Nova, Quasar, and several other characters who were fondly remembered but not sales juggernauts, you get to have some fun. 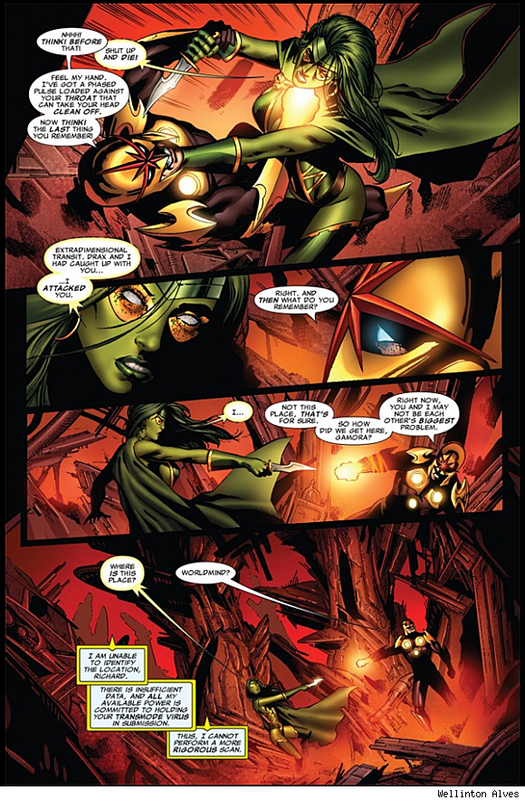 Giffen, Abnett, and Lanning gave Nova a new status quo, and one that would allow us to discover the character as he discovered new things about himself. 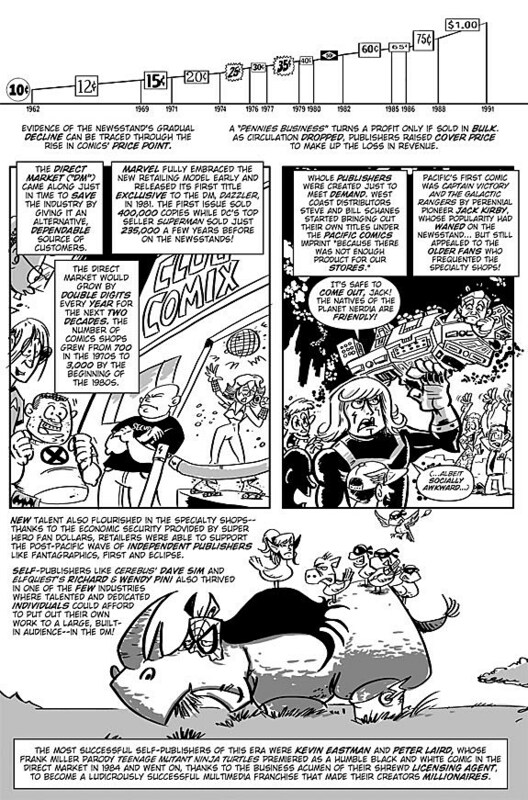 His time spent as a teen hero with the New Warriors was de-emphasized, as it wasn't relevant to his new duties. The Nova Corps was established as the galaxy's foremost peace-keeping force before being completely demolished in one strike. There was one member left: Nova. Since he was the last of his kind, he was blessed with enormous power. His power upgrade came at the best possible time. The galaxy was in the midst of a particularly brutal war, and Nova's new abilities turned him into a valuable asset. The teen hero grew up into a mature soldier. Nova evolved into a hero that clearly had his roots in the stories that came before, but the stories that came before weren't required knowledge. You just needed to know that a boy became a man after getting a boost in his power levels. Abnett and Lanning's ongoing Nova series, featuring art by Sean Chen, picked up where Annihilation left off. Nova is running himself ragged trying to keep up with all of the SOS calls from around the galaxy. The responsibility is crushing, and he's just barely getting by. And then, Abnett and Lanning start throwing wrenches into the mix. 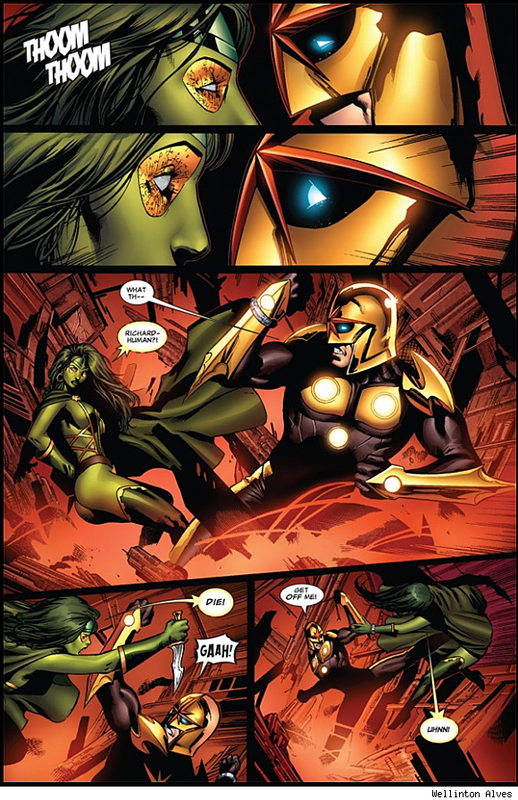 Iron Man wants Nova to register as a superhero. Nova's friends have changed. Another invasion hits. Abnett, Lanning, and Chen do some pretty deft work in this series, and I'm pretty impressed with how they took a character as old as Nova and made him seem as fresh as if he was created today. The new status quo fits the character, and it's nice to see him treating heroes who were once mentors as equals. It gives Marvel's comics a feeling of growth and evolution, rather than stagnation. Fred Van Lente and Ryan Dunlavey's meticulously researched series has wrapped up, and now's as good a time as any to remind you that it's a must-read. I don't know that it's possible to create a perfect history of comics, but Van Lente and Dunlavey have certainly created an entertaining one. Like Action Philosophers, the previous Van Lente and Dunlavey team-up comic devoted to the history of philosophy, Comic Book Comics informs and amuses. By pulling facts and quotes from the long history of comics, they provide context for otherwise opaque movements or developments, with plenty of jokes to keep you entertained, too. You can read a fairly thorough history of comics for just under six bucks. It's a steal, really, and totally worth your time. Each issue is dense enough for this to be a series that's worth digesting over the course of a few days, rather than binge-reading. Oishinbo is one of those books that my non-manga reading friends rave about. It's got genuine crossover appeal, due in no small part to how it portrays the preparation and consumption of food. 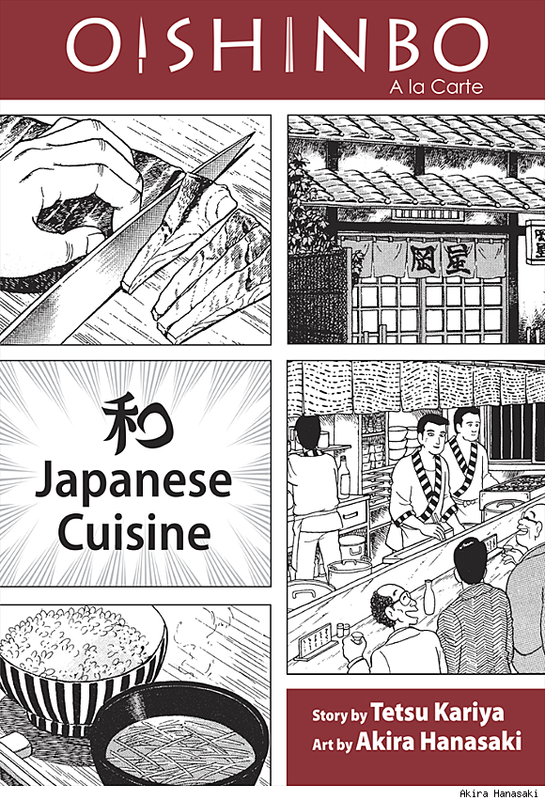 In Oishinbo, everything revolves around food. It's a cookbook masquerading as an exciting drama about family, elitism, and talent, full of amazing tips on cooking certain dishes, divided by type here in the English adaptation, and even outright recipes. I never would have pegged a series about cooking food as being something that everyone could enjoy. It seems like such a niche subject, the kind of thing that only die-hards would be willing to pick up, but the craft and gimmick factor clearly count for a lot. Pick a subject that interests you (Japanese cuisine, sake pairings, ramen, and fish-based dishes are currently available) and give it a spin. It's funny, it's touching, and it's truly great.